This presentation is hosted by CIAN ERC & the Iranian American Women Foundation. She holds a Masters degree in Middle Eastern studies from Georgetown University’s School of Foreign Service, and her Bachelors in Political Science and Public Policy from the University of California, Berkeley. 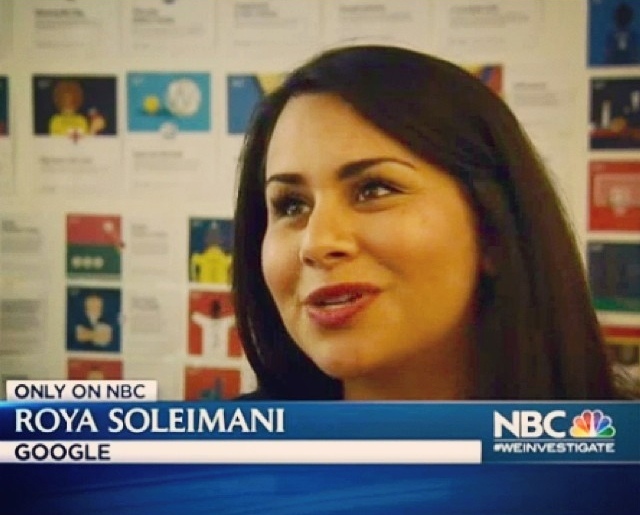 Roya is involved with several community organizations, including the iBridges, the Iranian American Women’s Foundation, the OMID Foundation Bay Area Committee, PAAIA NexGen’s National Organizing Committee, and more. 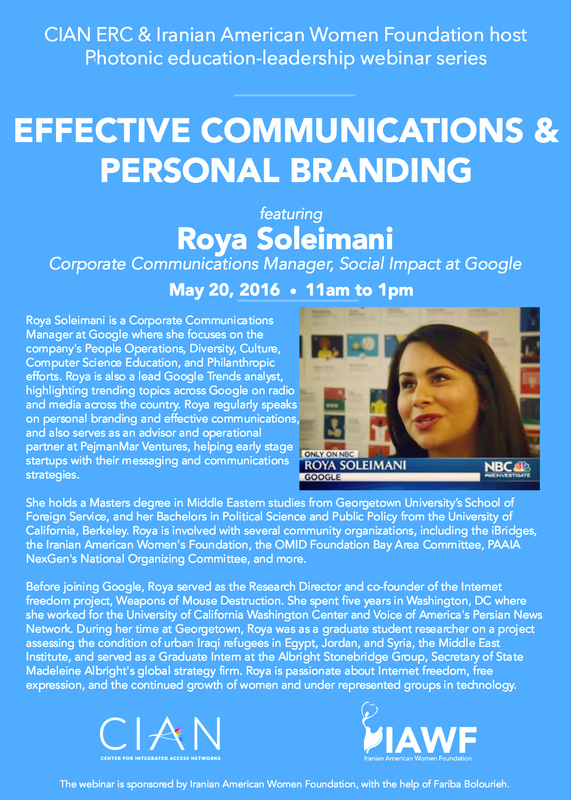 Before joining Google, Roya served as the Research Director and co-founder of the Internet freedom project, Weapons of Mouse Destruction. She spent five years in Washington, DC where she worked for the University of California Washington Center and Voice of America’s Persian News Network. During her time at Georgetown, Roya was as a graduate student researcher on a project assessing the condition of urban Iraqi refugees in Egypt, Jordan, and Syria, the Middle East Institute, and served as a Graduate Intern at the Albright Stonebridge Group, Secretary of State Madeleine Albright’s global strategy firm. Roya is passionate about Internet freedom, free expression, and the continued growth of women and under represented groups in technology. This entry was posted in Education, Industry & You, Videos. Bookmark the permalink.